Well Trained Homeschool: What I Like About Classical Education! The things we love best about using a Classical Approach to homeschooling is you are taught from an early age how to recite. When you are a little older you learn Logic. Finally towards High school you should know how to research a topic, write a complete argument, and present it. It’s called the Trivium or 3 stages of learning. They are Grammar, Logic, and Rhetoric stages. Which if you break down into terms we are accustomed is 1- 4th grade, 5-8th grade, and 9th- 12th grade. 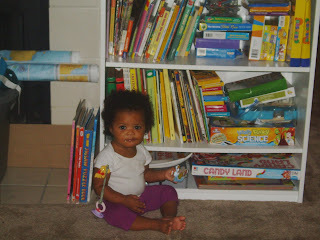 You expose children to the Great Books and Living books at an early age. Also during the Grammar stage you introduce them to recitation on a weekly basis. This is also when you do the most memorization of facts, tables, and timelines. This will create memory pegs to tap into in latter learning. That is how we are training our children to be lifelong learners. Another thing that is cool about Classical is that we study history and geography from a chronological view from Creation to Modern Day. Which means we start with Ancient World (Egypt, Nubia, Kush, Greece, Rome, China, Japan, and India), then Early Renaissance, next Late Renaissance, and finally Modern day. In early America before the formation of the NEA (National Education Association) and the beginning of Compulsory attendance laws, most schools were taught this way. They were usually called Latin Schools or Grammar Schools. The reason why some of the Classical Schools of early America where referred to as Latin Schools is, “You Guessed it!”, they taught Latin starting at the Grammar stage of learning. The philosophy of Classical Education is to train children to become thinkers and processors of information by equipping them with the tools necessary to break down any and all subjects at the root. Latin is one of the root languages our Language is based upon. So with a good firm grasp on Language it will help train our children to always go to the original source 1st. And don’t be intimidated by the Latin either. With all the resources and curriculum available to homeschoolers today it’s a matter of how do you want to teach it. You can choose from books, DVD’s, CD’s, CD Rom, and even taking a class with a local COOP group. I must say out of all the things to love about Classical Education it has to be the rich emphasis on Great Works of Literature. Time has been the biggest test for some authors as to there relevance in modern day education. A great writer never goes out of style. And for those parents on tight budgets like us you can always find Great Books at your local Public Library. There are even websites dedicated to putting out Suggested Reading List for all levels of learning. Check out some of my favorites under my Classic Home Education Resources Links to the left sidebar. My favorites right now for suggested reading for my Preschool and 1st grader are the Ambleside list and also the Classical Christian Homeschooling site under 1000 Good Books List. You can succeed in producing a Well Educated Child from Preschool thru High School. I'm a huge fan of the chronological order of history lessons too. It makes so much sense to learn that way. Amen to that, you don't need to be rich to provide rich education. Good for you and your kids, they look great.